These natural Bamboo Vertical Natural Specialty Wood switch plates come unfinished, ready for stain and varnish of your choice. Create a custom finish look in your home by matching the color of your cabinets or wood trim perfectly. For Stain, add $4.00 per piece. 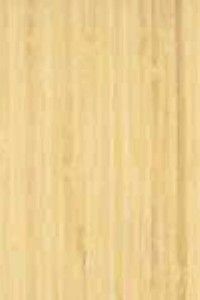 For Varathane finish, add $3.00 per piece. 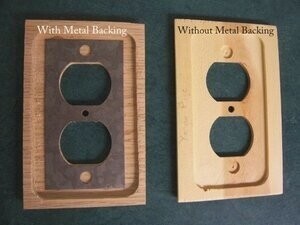 Custom Wood switch plates now available for Log Cabins! You choose the screw color in Black, Brass, White, Brown, Almond, Shiny Steel, Pewter or Terra-Cotta. 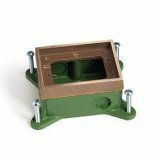 We also stock over 100 specialty wood types, all in stock to manufacture our switch plate covers, in over 50 standard configurations. 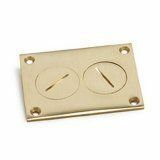 We also make custom switchplates in any configuration you need. Step 1: NEW FEATURE! 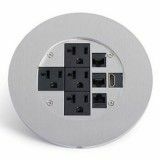 Choose all the quantities of the configurations in one step, then scroll down to choose Edge Profiles, Screw color, Metal Backing, Stain or Poly, then click the Add to Cart button, it's easy! 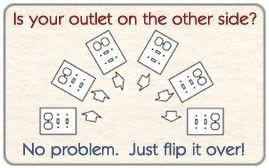 Please allow up to 14 business days for manufacturing of these CUSTOM WOOD SWITCH PLATES, and then up to 5 DAYS for shipping by the US Post Office. 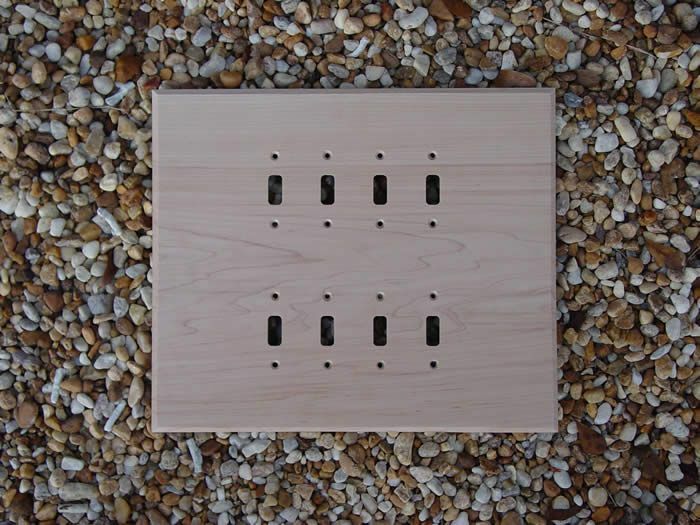 These natural Wooden Switchplates come unfinished, ready for stain and varnish of your choice. Create a custom finish look in your home by matching the color of your cabinets or wood trim perfectly. For Stain, add $4.00 per piece. For Varathane finish, add $3.00 per piece. 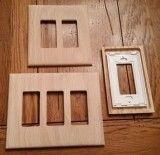 Custom Wood switch plates now available for Log Cabins! 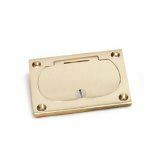 You choose the screw color in Black, Brass, White, Brown, Almond, Shiny Steel, Pewter or Terra-Cotta. 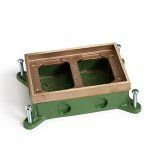 Please allow up to 14 business days for manufacturing of these CUSTOM WOOD SWITCH PLATES, and then up to 5 DAYS for shipping by the US Post Office. These are all custom hand made to order. In Compliance with the National Electrical Code, our wooden switchplates are now available with Metal Backing Plates.............This gives a bit more strength to the product and meets all electrical code regulations. However we still do make them without the metal backing. We appreciate your business................Arnev Products, Inc. Please allow 10-14 business days for delivery of this custom wood product.